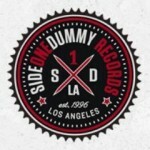 SideOneDummy Records is celebrating their 20 Year Anniversary Vinyl Reissue Series. The first reissue will be The Gaslight Anthem’s Live At Park Ave 10#8221; released as a limited coke bottle variant exclusively for sale via the SideOneDummy web store and a limited translucent blue variant is available at Park Ave CDs in Orlando, FL. Purchase Live At Park Ave [URL=http://twitter.us6.list-manage2.com/track/click?u=118b4bd4661f71fa6090d36b4amp;id=f8934a1668amp;amp;=07bbaa4515]here[/URL]. Eight more records released throughout the year in SideOneDummy’s 20 Year Anniversary Reissue Series. The full list can be found below.